According to research published in Psychology Today, children who exhibit social-emotional skills at a young age are more likely to be successful in their 20s. 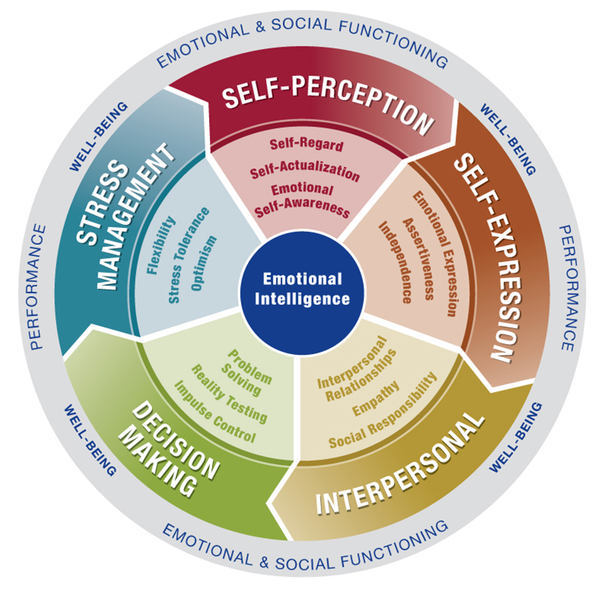 The Collaborative for Academic, Social, and Emotional Learning identify “social and emotional” learning (SEL) as the process by which children and adults acquire and effectively apply the knowledge, attitudes, and skills necessary to understand and manage emotions; to set and achieve positive goals; to feel and show empathy for others; to establish and maintain positive relationships; and to make responsible decisions”. Managing SEL is a lifelong endeavor. Learning to manage emotions, developing a positive self-esteem, and being flexible are examples of SEL. Children first learn how to manage their SEL at home. Just like course subjects in school, students can be taught social-emotional skills. Children need time to practice controlling themselves and regulating their behaviors. Students take cues about SEL from their parents and other adults they trust. Be a good emotional role model. How do you handle stress? How do you handle problems? Are you a problem-solver and do you try to find ways to cope with your emotions? Be an “emotion coach.” It’s normal to display our feelings and show emotions. If a child is angry, help him/her voice their feelings instead of displaying anger, especially with physical results such as hitting. One way to voice feelings is with an “I statement”. “I feel ______, when you ______”. Read books with social-emotional plots. We can learn so much from books! Find books that deal with children and their emotions - being a friend, behaving at school, taking turns, being kind, being hurt by others’ words, etc. Read the stories together and talk with your child about the different emotions. What would he/she do if the student was the character in the book? Give choices. Instead of parents just solving the problem and telling a child what to do, give them options that you would deem appropriate. Helping a child by allowing him/her room to negotiate is a good life skill. Use positive discipline strategies. Do you have certain rules at home that your child follows? What happens when they don’t follow the rules? Giving children rules and guidelines is helpful. At school, students follow classroom rules and there are consequences when they go against those rules. At home, give consequences and incentives. When is the last time you told your child they did a good job getting to school on time?